A lot of us are guilty of spending hours looking through Pinterest trying to find interior decorating inspiration, only to give up with a sigh and decide our homes will never look that nice thanks to our pitifully small budgets. But that isn’t true – there are a number of ways to make a room look fancy and expensive without spending a huge amount of money. You just need a bit of imagination, some willpower, and maybe a little bit of spare cash. I’m not saying don’t incorporate any colour into your home, but try starting off with neutral colours – the room will be easy to add to and will look sophisticated. It’s easy to liven up a black and white room with some colour, but it’s more expensive to go from mismatched to a more toned down look. Minimalism will help to make your home look a bit more classy – clutter will make any room look messy and uncared for. Take away the stuff you don’t need, or tidy up and stack those books lying randomly around the house so that they look like part of the décor. 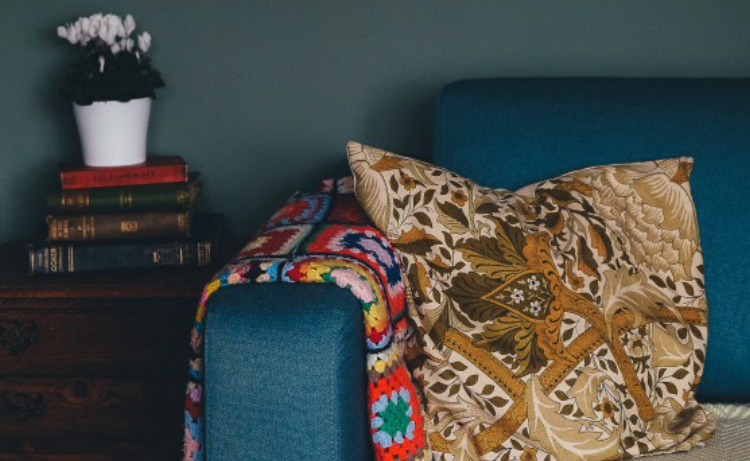 I know I said you don’t have to spend a huge amount of money, but if you’re serious about wanting a attractive looking house, that old second hand sofa might not be doing the trick anymore. Invest money where it counts – and that’s the big pieces that make the room. Buy a gorgeous sofa and maybe a new headboard for your bed. If the main piece of furniture is attractive, then the rest of the room will also look more attractive. The ultimate way of saying “I’ve got my life together”: buy accessories that match! For example, in the bathroom, you could buy a matching marble-look soap dish and toothbrush pot and the room will instantly look more stylish. Interior design 101: large wall mirrors will make any room look bigger. Hang them across from the entrance for maximum effect. Adding narrow strips of moulding to a wall will create a panelled look that can draw attention more attractive aspects of the room – and it looks super sophisticated and classy of course. You can buy fancy looking lamp shades and chandeliers that don’t cost a fortune, and will transform a room. Of course, I couldn’t overlook how great plants make a room look – they can take any room from boring to stylish with little to no effort. You just have to make sure you water them…or get a fake plant.